Charles County has 21,000 acres of parkland and many miles of shoreline. It has some of the most scenic biking trails in Maryland, providing a wide variety of outdoor activities, recreational facilities and nature programs. 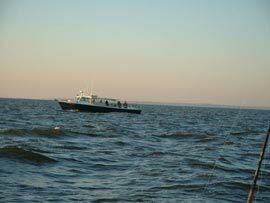 You will find nature trails, hiking, horseback riding, fishing, boating, hunting, wetlands and wildlife. Charles County is also the third most forested in the state of Maryland and is home to a large population of Bald Eagles. Chapel Point State Park – including boat launch on the Port Tobacco River. Doncaster Forest - provides hiking and horseback riding on 1,445 acres. 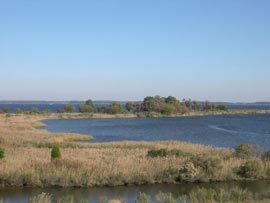 Friendship Farm Park - provides wildlife and wetlands on the Nanjemoy Creek. Gilbert Run Park - provides hiking and nature trails including a fresh water lake. Naturally Historic Loop – scenic bike route starts at Port Tobacco Courthouse. R. Stethem Memorial Sports Complex – includes 10 athletic fields. Southern Park – includes playground and a fishing pier on the Potomac River. Thomas Stone Historic Site – includes plantation house, hiking and birding trails. White Plains Park – includes a golf course and White Plains Dog Park. Zekiah Swamp – flows 20 miles from Cedarville Nature Center to Wiciomico River. This Charles County website page is for Recreation, Parks, Outdoors, Lakes, Nature, Preserves, Fishing, Boating, Beaches, Swimming, Amusement, Family, Kids, Children, Wildlife, Refuges, Visitors, Weekends, Hiking, Bike Paths, Landmarks, Tourists, Guides and Regional Parks that are local and rated best in St. Charles, La Plata, Indian Head, Waldorf, Port Tobacco Village, White Plains, Potomac Heights, Bryans Road, Bel Alton, Benedict, Bryantown, Dentsville, Doncaster, Faulkner, Ironsides, Mattawoman, Patuxent, Pisgah, Pomfret, Popes Creek, Potomac Heights, Redhill, Ripley, Rison, Riverside, Rock Point, Rogers Mill, Shiloh, Springhill, Warington Hills, Wellington Beach, White Plains, Wicomico and Beantown.